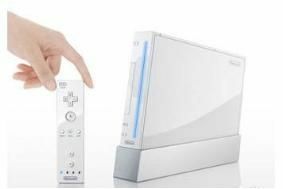 Nintendo Wii gets dedicated BBC iPlayer channel | What Hi-Fi? Although the iPlayer has been available on the Wii since April 2008, many owners reported problems with the original interface. Erik Huggers, director of Future Media and Technology at the BBC, says that the enhanced Wii service is an improvement on the old BBC iPlayer system, describing it as "a faster, high quality and improved viewing experience". To get the service, Wii owners will be able to download it from the console's online shop free of charge. Only consoles with a broadband connection in the UK will be able to run the channel. The BBC iPlayer is also available on Sony's PlayStation 3 and other platforms.